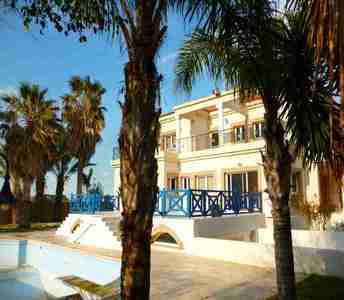 This property in Larnaca is one of the best seaside houses for sale in the tourist area of Dekelia in Larnaca (Cyprus). So if you are interested in a permanent home or cottage property, the purchase of this property in Larnaca should be your first choice. 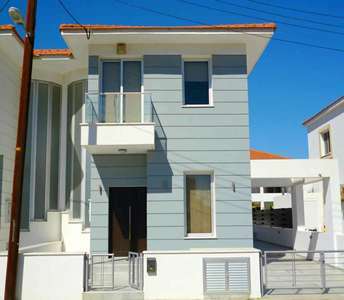 If your dream is to buy a seaside home in Larnaca (Cyprus), then the ideal location of this beach house for sale in Pervolia - Larnaca will bring you a step close to your dream. This beachside Cyprus property for sale has swimming pool and located just 50m. from the beach. 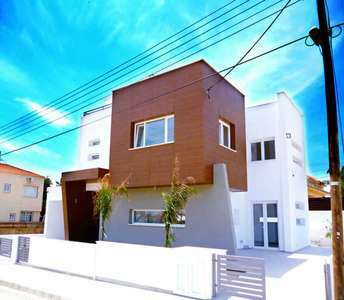 The house for sale in Larnaca has many benefits, but yet another benefit is that if you are trying to obtain the Cyprus permanent residency permit, then you will be happy to know that by buying this home in Larnaca, you will be entitled to receive this permit! 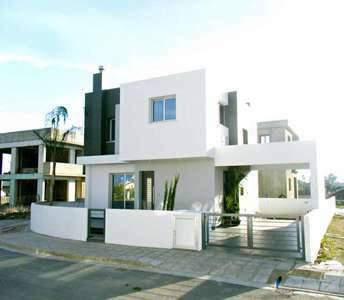 These beachside villas for sale in Larnaca, are a real estate dream in Cyprus as they are 100m. from the sandy beach, and as a result enjoy spectacular sea views. The Cyprus properties are also for permanent residence permit visa in Cyprus. 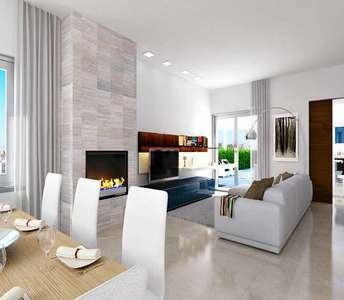 This is your chance to buy exquisite property (home) in Larnaca, which stands out for its elegant design and excels over other properties for sale in Larnaca at this price. This 175 sq.m. 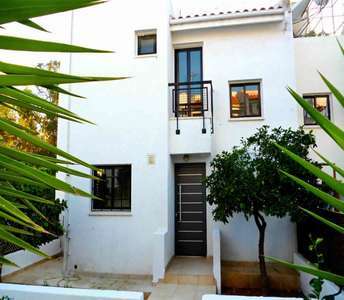 house for sale in Cyprus comprises 3 bedrooms and is located in the village of Kiti (Larnaca). 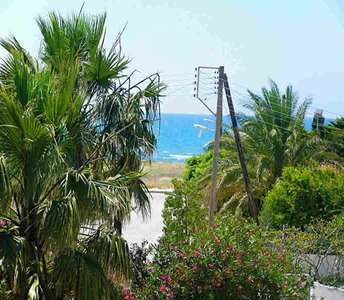 If you are looking to buy Cyprus property for a permanent residency or a holiday home, then we recommend these seaside houses for sale in Larnaca, as they are bound to offer a lavish lifestyle with astonishing mountain and sea views. This beachfront house in Larnaca makes the decision to buy real estate relatively easy as it guarantees a comfortable lifestyle. 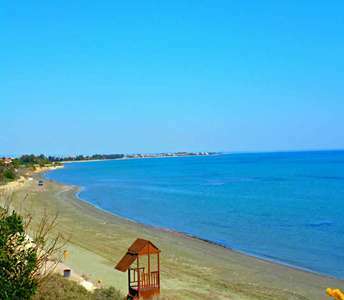 The charm of this beachfront area attracts visitors as well as real estate buyers who wish to buy property in Cyprus. For those who have their hearts a coastal house on the seaside then this beach property in Cyprus is one of the best selections of the luxury Cyprus properties available for sale whether for permanent residence or holiday home. 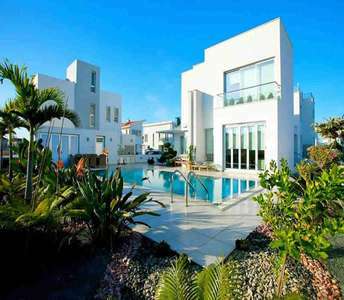 The property in Larnaca is 300m. from the beach. This villa for sale in Cyprus located in one of the most acclaimed areas of Cyprus, this luxury seaside property is for sale in Larnaca just 50 metres from a sandy beach and is an outstanding opportunity to buy seaside villa in Cyprus.